So, fill us in a little bit. Who is ONONO and what kind of tunes do you make? ONONO started as solo recording project of mine and has since transformed into a five-piece psychedelic pop band. The music for this project is essentially a result of the close influences that were other bands I was playing in - Uncle Dave, Hans Pucket, Sport Royal, Red Sky Blues - as well as psychedelic projects like UMO, Pond and Toro Y Moi. Your debut offering is called Bad Posture. Do you struggle a little with the old bendy back? As mainly a drummer, I have a this vision of myself from a bird’s eye view hunched over a drum kit. I’m not really a technically trained drummer so some things like grip and posture are definitely afterthoughts. My mum always tells me to stand up straight. What’s the symbolism behind the blue and pink trees on the album art for Bad Posture? The original image was taken in the Royal Botanical Gardens in Hong Kong whilst I was on tour with Broods. Using a photo-editing app on my cellular device I inverted the colours to create an alien landscape. The trees are regular trees, a familiar sight, but when something that you could easily take for granted, like vision is challenged, it can appear alien. What’s the buzz with Truby King Studio and what was your process for recording your album? Truby King Studios is the the dining room in my house in Melrose, Wellington. It is an iconic and unique sounding room with wooden floors, five walls and two skylights where ONONO and Hans Pucket have recorded. The ONONO recording process usually starts with a riff or chord progression or bassline which is then added to with a drum beat. The beat will inform changes to the chord progression and I will jump in between instruments jamming with myself until I have settled on a rough structure. The melody and vocals are almost always the last thing to be written and recorded. Essentially a backing track is made and then I seek to find a suitable melody to match the song. I recorded a bunch of songs in this fashion and boiled it down to seven tracks that were “album worthy”. I understand you’ve played in a plethora of acts including Red Sky Blues, Hans Pucket and toured with Broods. Tell us a little about your time with those characters. Hans Pucket has been a magical experience working with the Devlin twins. I feel like I have been let into a telepathic network existing between two very similar yet vastly different creative individuals. Red Sky Blues has been an outlet for all those times you just wanted to lay into it. I was challenged a lot with Ezra, Patrick and Davey’s weird time structures and supernatural riffs. Playing with Broods has exposed me to a lot music I would have taken a lot longer to find myself. Playing big shows and festivals and seeing what music translates on an epic scale has informed the way I approach making new music. It’s also a blast touring with my cousins. Reverb seems to be a pretty prominent effect in your sound. Any favourite processors that your use to achieve this? When recording in my bedroom I would DI all of the guitar, bass and synths so I opted to go for the in-built plug-ins that Logic has to offer. I really enjoy some of the pedals in the Pedalboard plug-in and when it came to playing live I basically tried to find all those effects pedals in real life. Right now I’m using a Digitech Supernatural ambient verb and an MXR Carbon Copy delay for those juicy wets. You have an imminent “tour of Auckland” coming up. Do you find there to be much of a difference in punters attitudes at shows in different parts of the country? I guess there are different variations of the same kinda scenes depending on where you go. For the most part the major cities have similar underground music scenes. Really the music is a product of the environment where it’s being made resulting in phenomenons like the “Dunedin sound” etc. 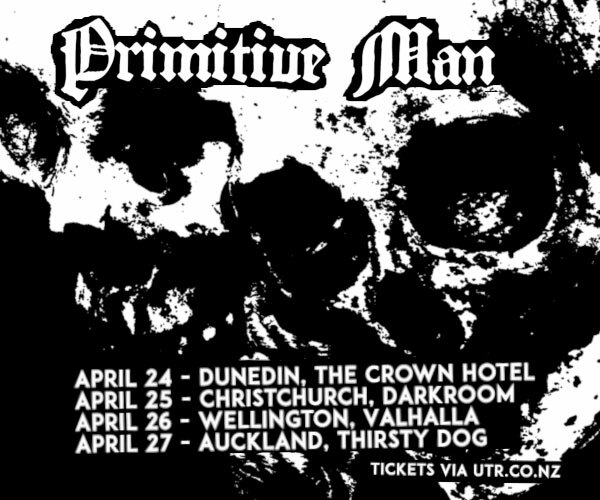 In Auckland there are just more shows than any other city in NZ so people are well versed in gig etiquette. 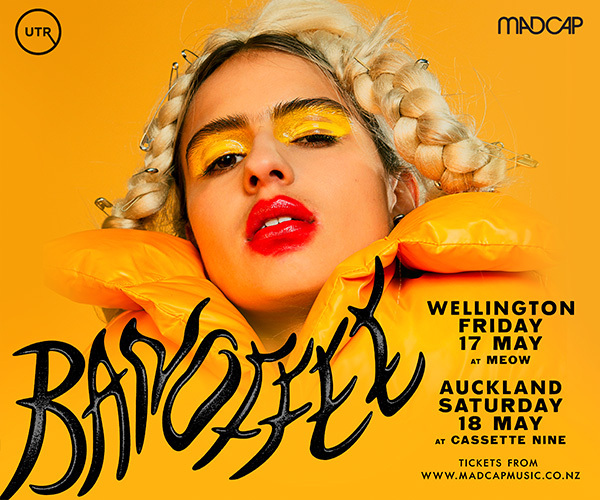 Also the All Ages scene in Auckland helps foster new waves of music making and consumption before it reaches the R18 events. It would be cool to have more of those events happen in Wellington and could be a chance to change the gig environment into a more inclusive space for everyone to participate and enjoy.